I managed to review Season 2 of this show without giving away details on Season 1 but I won't do that again. If you haven't seen Season 1 & 2 yet, read those reviews and go watch it. Seriously, if you haven't seen it yet why are you still reading this? This is one of the best dramas on TV right now. Anyway... The 3rd season of Sons picks up right where it left off at the end of season 2. The Irishman (Cameron) had just kidnapped Jax's son Abel and Gemma Teller is on the run from the law after being framed by ATF agent Stahl for killing Cameron's son. While Gemma is on the run, the rest of the MC are left to pick up the pieces after Half-Sack's murder and try to find Cameron and Abel. The hunt eventually takes them all the way to Belfast. A long way from Charming. A long long way from Charming. For the first time, The Sons have to play by the rules of the law and aren't operating in their sheltered little Charming where they had free reign. I'd just started my latest holiday in the USA so the idea was to watch it all when I got back but I found myself in a household with the FX channel on the night of the season Premiere. What do I do? I knew I'd likely not see anymore after this. I'd be giving myself Sons of Anarchy blue balls if I watched it! Couldn't help myself. By the end of the first episode one of my feelings was anger. I was angry at the show for having such an awesome premiere. Not only was it like a season finale for me since I'd be on the road for two months but the way the episode ended actually was like a season finale. I'm not even going to hint at what happened. Just know this, if you thought episode 1 of season 2 where Gemma was raped was intense, wait til you see this one. It set the tone for the rest of the season. It set the tone for another amazing season. I'm kind of at the point where I feel like a broken record talking about the great storyline, the great writing and the great acting. It's all true though. I could probably copy-paste my praises from the first two seasons and they would apply to season 3. Katey Sagal (Gemma) just won the Golden Globe for best actress in a drama. That's a good start right? Season 2 was always going to be hard to beat because I've got such big wraps on Adam Arkin and Henry Rollins' performances as the villains of the season but season 3 still produced some fine performances by Titus Welliver (The Man in Black from LOST) as Jimmy O and my personal favourite, James Cosmo as Father Kellan Ashby. While the season seemed to start very slowly (eps 2-6), things really gained momentum right before the MC went to Ireland to make the back half the season unbelievable. So much happening. So intense. Season finale? Best season finale yet. What are you looking at? 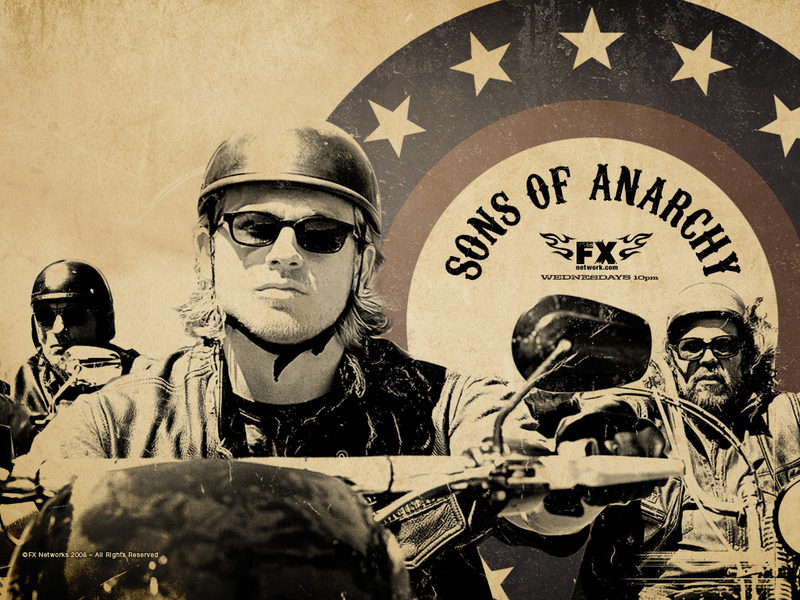 Go watch Sons of Anarchy. I am definitely a huge fan of Sons of Anarchy, but not a fan of Directv. I really feel sorry for Directv customers, because Directv's contract with FOX is going to end soon which means that they will lose all FOX channels. I am happy to be a DISH Network customer/employee; at least I don't have to worry about losing my favorite show like Directv customers. Hopefully they can get this figured out quickly before they have a lot of angry customer son their hands.